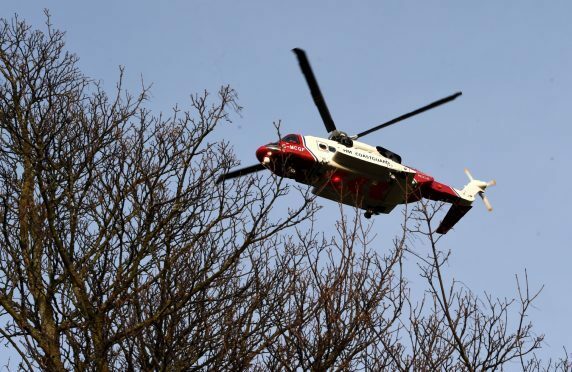 Coastguard search and rescue helicopter Rescue 900 was tasked earlier today to attend to an injured crewman aboard a fishing vessel northeast of Orkney. Reports were received by the Coastguard at 2.51pm with the helicopter and crew attending to the Spanish fishing vessel. In windy weather conditions, the crew assessed the casualty who had been placed in a neck brace from the aircraft, before being stood down. A spokeswoman for the Coastguard said the vessel was advised to head to port in order to have the casualty checked over. Rescue 900 returned to base in Sumburgh shortly after 6.45pm.